On land or offshore, Fellows prides itself on the breadth and depth of each team member’s experience. 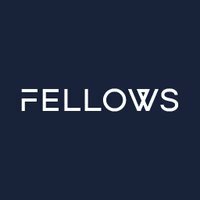 Honed through a wide variety of working environments and an astonishing range of challenging projects, the resulting expertise is pivotal in making Fellows an industry leader. In this video we discover the background of Operations Manager Jason Webb whose marine-focussed career has charted a course that equipped him with knowledge and skills that are key to Fellows’ established and growing offshore success. Joining the Royal Navy in 1991, Jason served as a Marine Engineer and Mechanic for 11 years before transferring to the Clearance Diving branch in 2002. There he performed a range of duties including engagement in the Counter IED Taskforce in Afghanistan, two years in the Maritime Counter Terrorism Unit working alongside UK Special Forces and a period onboard the Antarctic patrol ship HMS Endurance. The culmination of Jason’s career was the completion of the Senior Rates Advanced Explosive Ordnance Disposal (EOD) course and a subsequent period as the EOD, Demolitions and diving lead on board a Royal Navy mine-hunter. As a result, Jason has a wealth of experience in all forms of diving, conventional and improvised munitions disposal and is a fully qualified Advanced EOD operator on land and at sea. A member of the Institute of Explosive Engineers, Jason retired from the Royal Navy in 2014 and spent a year working in the offshore oil and gas industry around the world before joining Fellows.